The materials translate to the exterior of the house with concrete-coloured timber cladding that contrasts with, and complements, the existing brick as well as the new courtyard paving. “We used a timber cladding that will age and weather naturally as the house ages,” says Sutherland. 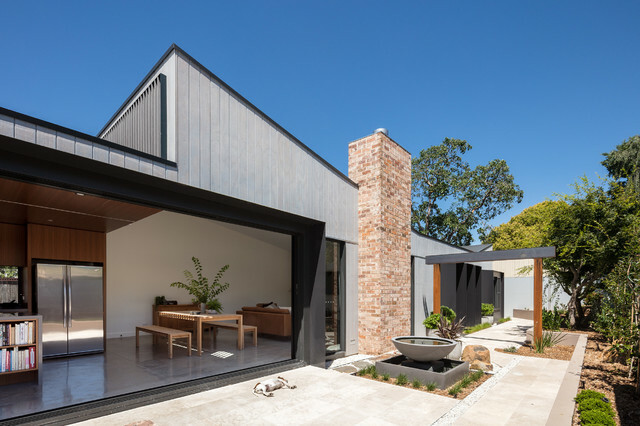 Winner: Source ArchitectsA home that opens to the outdoors is high on the list for Australians looking to renovate or build their own home – and this design nails the brief.To browse more 2018 Best of Houzz winners by region and room, click here.